The Perception Funding vision is to serve our ministry partners in order to grow the Kingdom of God. Our goal is to help them become better able to share the Gospel of Jesus Christ with the unreached, to serve people where they are, and to meet their needs. ﻿﻿Our primary focus is to teach Christian-based organizations how to engage their supporters and assisting them in their fundraising efforts. Our partners are Christian organizations who are called to serve God’s people. This includes missionaries, churches, nonprofit outreaches, and other similar organizations. ﻿﻿We created Go.Serve to send out missionaries with a focus on long-term investments and personal relationships. We love to teach churches, ministries, and individuals how to raise funds for their missional needs. We see an opportunity to provide the desired accountability, encouragement, and the fundraising training, and expertise that both seasoned and new missionaries. Perception Funding helps support approximately 20 fundraising events annually. This includes offering free tools and easy-to-follow steps to ministries, to help ensure that their event is a success. Learn more. 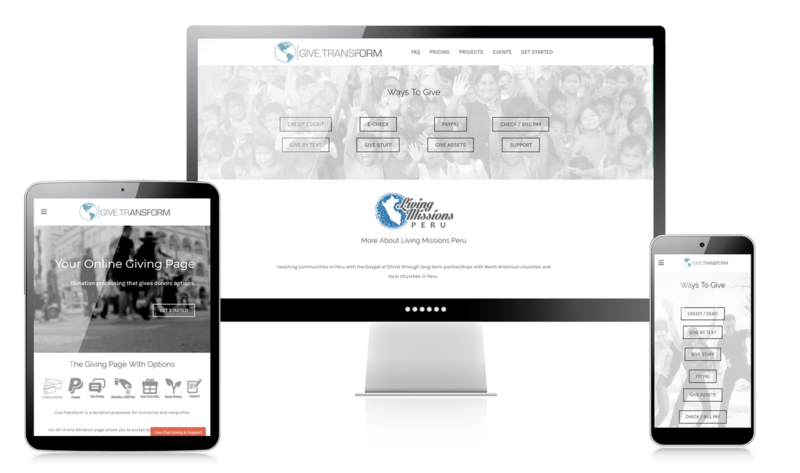 Perception Funding researched, designed, built and operates it's very own online giving platform called Give.Transform, to support our ministry partners. We currently assist 40+ nonprofits, ministries and other unique projects by providing every possible way for their donors to give. Check it out. For every ministry served, lives are being changed. Our success stories include kids, parents, siblings, grandparents, aunts, uncles, friends... Because of your support, one at a time, new lives have the chance to know the love of Jesus. Thank you for your support!